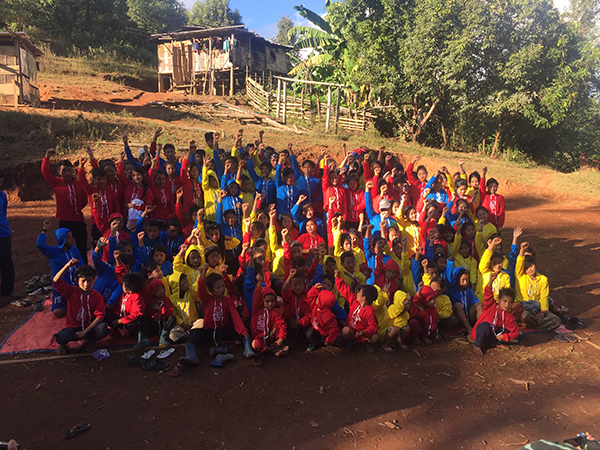 Karenni kids at the end of a Good Life Club program. For video of the program, please click the photo. It has been about two years since we had a headquarters team in southern Karenni State with newly-trained rangers. For some in the villages we visited, life is more secure and peaceful under the ceasefire. But for others, the ceasefire has only given the Burma Army a break from fighting and a chance to build new roads and bases, causing a lot of unease, distrust, and fear. 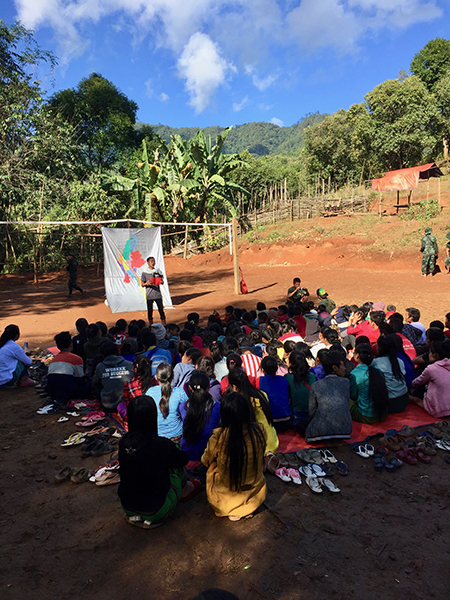 With a team of about 40 newly-graduated rangers, we visited five different villages in northern Karen State and southern Karenni State. We conducted five Good Life Club programs for over 1000 kids, and our medics ran pop-up medical clinics, treating over 230 patients. Our rangers conducted recons of some Burma Army camps and discovered a mine controlled by the Burma government. Upon further investigation of the mine, they found out the villagers were mining uranium. Our team went back to the mine to try and find out more about it, get some uranium samples, and talk with some of the workers. The workers took them deep into the mine shaft where they could explore and see how dangerous the working conditions were. They got about five kilograms of uranium samples and conducted some interviews with the workers. The workers told them that they have to give the uranium they mine to the company that works for the Burma government and that the company/government then sells the uranium to China. They said they have seen Chinese officials come to the mine. 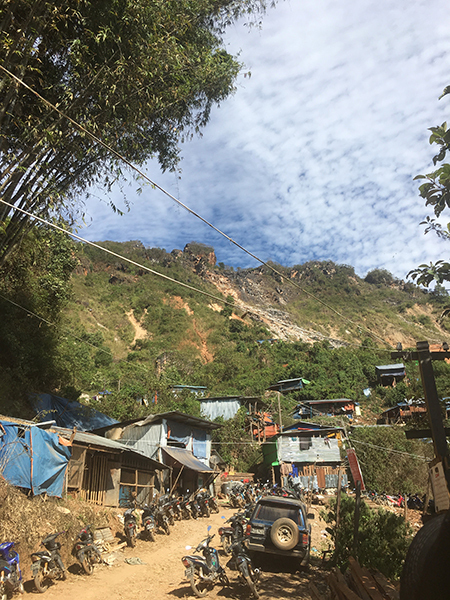 Maw Chi, a mining town in Karenni State. 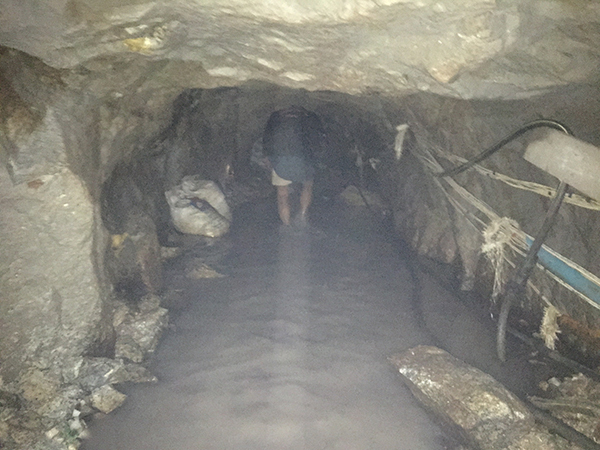 Inside the Maw Chi mine. After investigating the mine, the team pressed on to bring help, hope, and love to villages. One of the tangible ways our rangers love people is by doing a service project in a village. In one of the villages we visited we discovered there were no toilets. 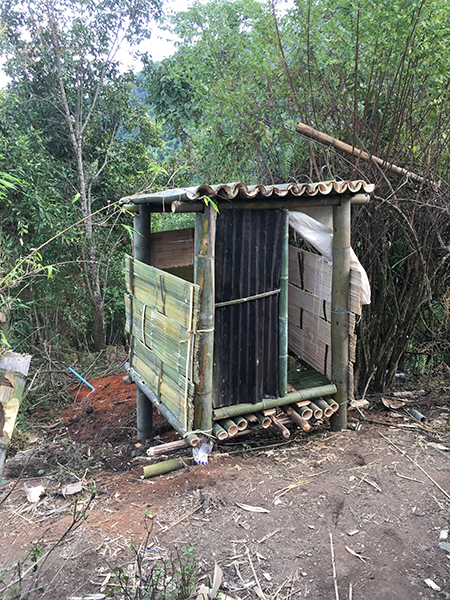 The rangers went to work digging holes for four new toilets, and bought all the supplies needed to complete four new community bathrooms. They also dug trash pits to help keep the grounds in the village clean. These small acts of love leave an impact on the village and promote health and wellness. Walking along the old Maw Chi car road, built by the British before World War II, was a surreal experience. Pieces of old pavement where the road used to be seemed oddly out of place among the jungle trails. Old relics from the war still remain – a Japanese artillery cannon, rusted out helmets, and a lot of memories from villagers who fought many battles to defend their homes. One man we met was 103 years old. He said he could still remember fighting against the Japanese in the hills around his village, and he remembered the names and ranks of some of the British commanders he fought alongside. As I listened to this old man recount stories, I wondered if he had ever had an easy day in his life. 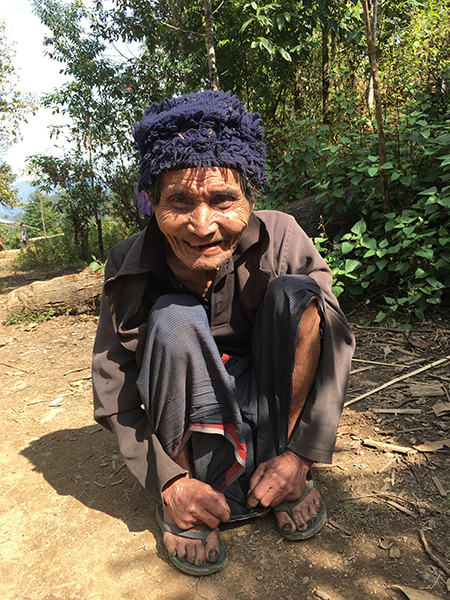 From the moment he was born he had to fight to survive; he survived through wars, he had to work every day to find food, firewood, and water, and now lives under constant threat from the Burma Army. Life for many in the jungle is not easy. Htee Say, a 103-year-old Karen man who fought the Japanese in these same hills during World War II. The Burma Army continues to advance, despite ceasefire agreements that say they shouldn’t. They are building new bases in Karenni State, three in the past year. They are also working hard on building new roads so they can move troops. They currently have roads in northern Karen State and are working on new roads in southern Karenni State, with a plan to connect all the roads and encircle the entire area. While we were walking we heard explosions in the distance, and later learned the ethnic armed organizations (EAOs) in the area had blown up a Burma Army bulldozer, their attempt to stop the advancement of the roads – the seventh bulldozer they’ve targeted since the New Year. A newly built toilet stall. A Ranger talks through what it means to love each other using a wordless book. 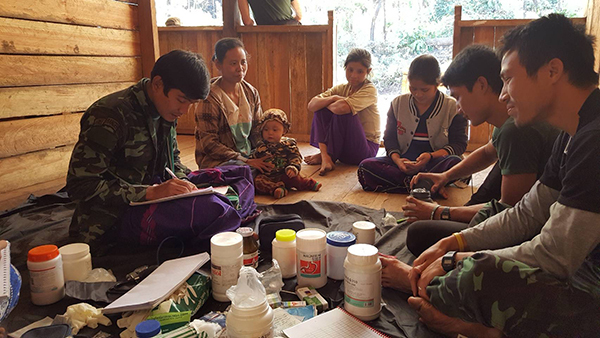 Rangers host a medical clinic for Karenni villagers.